Free tickets now available for The Edinburgh International Festival opening event: Deep Time. 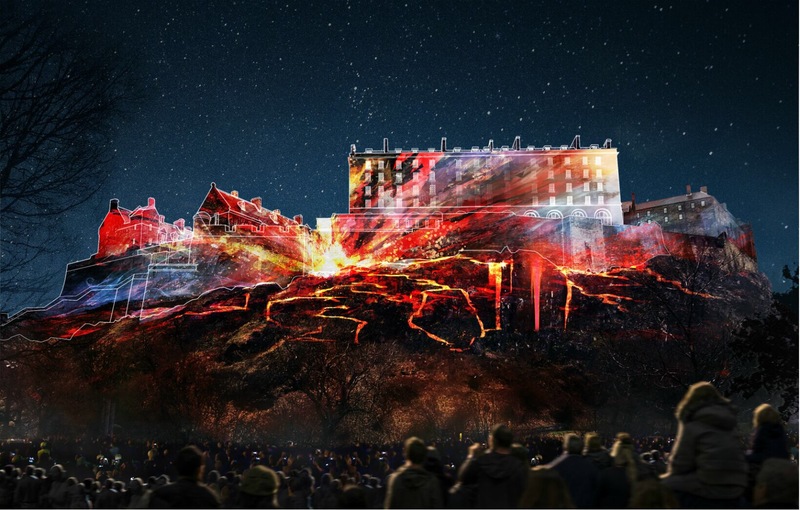 The Edinburgh International Festival today (Monday, 11 July) releases thousands of free tickets for the launch event of the city’s summer festival season, the Standard Life Opening Event: Deep Time. Free tickets are available from 10.00am at www.eif.co.uk allowing Edinburgh residents, visitors and tourists to book and experience the largest free, ticketed event of its kind in the UK, on Sunday 7 August at 10.30pm. A second limited release will be available on Monday 1 August, with a further very limited release on Saturday 6 August – the day before the event. 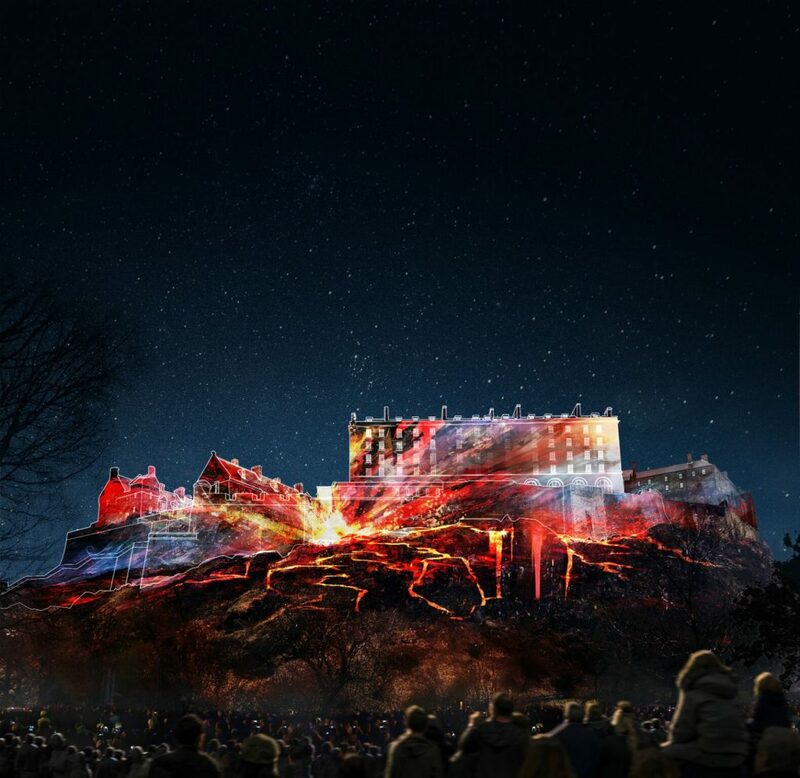 The Standard Life Opening Event: Deep Time is a free, outdoor artwork which will see the western façade of Edinburgh Castle and Castle Rock used as the 20,000m2 canvas for digitally animated projections inspired by the city’s past. The work is created by 59 Productions and set to a specially compiled soundtrack by Scottish rock band Mogwai, with an audience of up to 27,000 watching from the event arena. The event is one of the largest architectural mapping projects ever undertaken by International Festival Artistic Associates, 59 Productions. The Tony award-winners created the acclaimed Harmonium Project which opened the 2015 International Festival, and were key to the 2012 London Olympic Opening Ceremony, and world-wide hit stage play, War Horse. Standard Life Opening Event: Deep Time explores ‘deep time’ – a geological concept which explains the age of the Earth in terms of billions of years. Charting 350 million years of Edinburgh’s history, the event uncovers the unique geology of the city’s landscape, starting with its volcanic beginnings. It explores the intellectual legacy of the city – in particular the work of Edinburgh scientist James Hutton, who pioneered the theory of ‘deep time’ – and celebrates the cultural and scientific thinkers who have made Edinburgh their home through the ages, as well as the Edinburgh community which has lived and worked in the city in recent times. 59 Productions will use cutting-edge 3d animation and projection techniques to create the event, working in partnership with University of Edinburgh academics, who have lent their expertise to help tell the complex geological story. Fast-forwarding to the present day, Edinburgh remains a powerhouse for visionary thinkers, artists and innovative business people, and is home to a diverse community from across Scotland, Europe and the rest of the world. The finale of the event will explore Edinburgh through its human population, flashing through thousands of faces of residents from the past and the present. These are drawn from historical and present-day sources, and will be solicited directly from local people, some of whom will themselves be amongst the audience for the show, the culmination of which is a vibrant celebration of Edinburgh today. In order to create this moment, the International Festival and 59 Productions are asking the public for their help. Organisers are looking for hundreds of photographs of people who have called Edinburgh home – both those who live or have lived in the city. The photographs will help form the finale of this spectacular art work. Photographs should be of individuals with their faces clear in the picture, and can be submitted via the International Festival’s website at eif.co.uk/deeptime by Monday 25 July. Further information on how and what kind of images to submit is available on the website. This entry was posted in Art Openings, EXHIBITIONS and tagged The Edinburgh International Festival. Bookmark the permalink.